Rib meat in a sandwich loaded with tasty toppings. Quick pickled carrots add to the delicious flavor of this smoked chicken sandwich. Curtis Stone serves these baby back ribs with incredible homemade sauce. Matt Pittman of Meat Church Competition Team shares how he cooks his award winning brisket. Pair deli mayo, fresh pickles and rye bread with pastrami for an exceptional sandwich. Steven Raichlen shares his recipe for the most delicious way to grill apples. Steven Raichlen shares his recipe for smoking planked trout on the Big Green Egg. Steven Raichlen shares his recipe for double smoked potatoes. NFL linebacker Takeo Spikes shares his recipe for ribs. Chef JJ shares a homemade BBQ sauce recipe for spare ribs. How can you go wrong with Mona Lisa’s Ham Glazed Smoke Ham…delicious! Spare Ribs with Dr. BBQ’s Secret Apple Juice Injection. Pulled pork best served with class and corn on the cob. 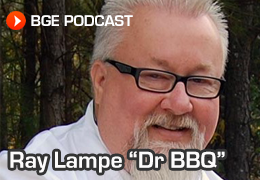 Dr. BBQ’s recipe for brisket includes coffee and Barbecue Rub #67. Make sure you’re ready for some finger-licking fun. Dr. BBQ’s Championship St. Louis-style ribs. Beef Brisket glazed with sweet and spicy mango chutney.